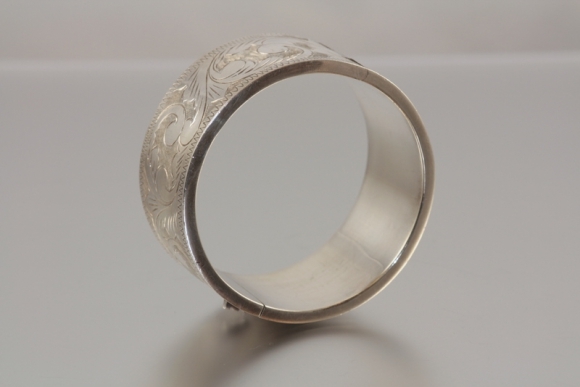 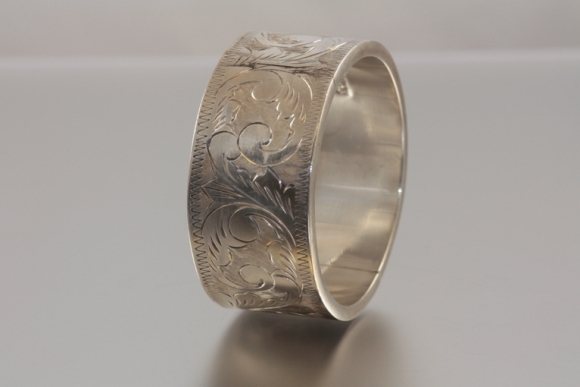 This heavy bangle is beautifully hand engraved all around. 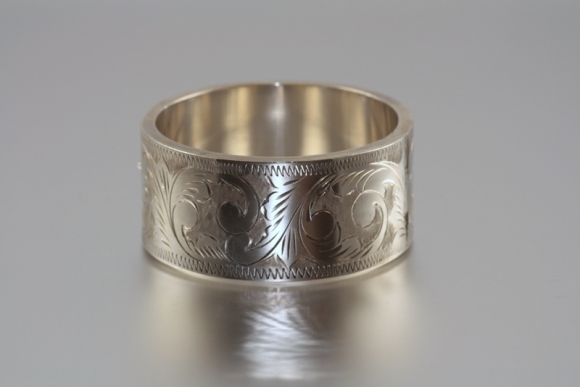 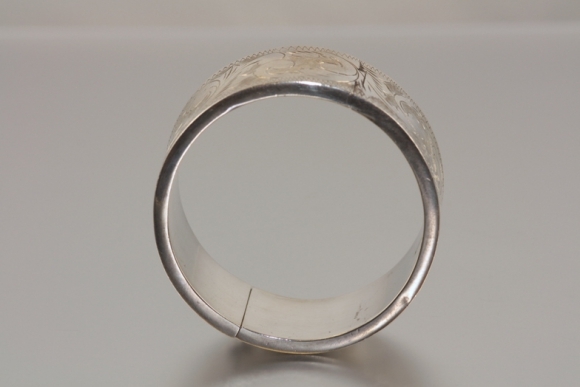 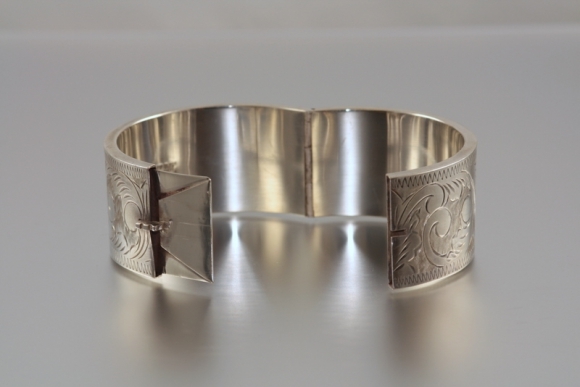 The bangle is 1 3/8" wide and has an inside diameter of 2 1/4". 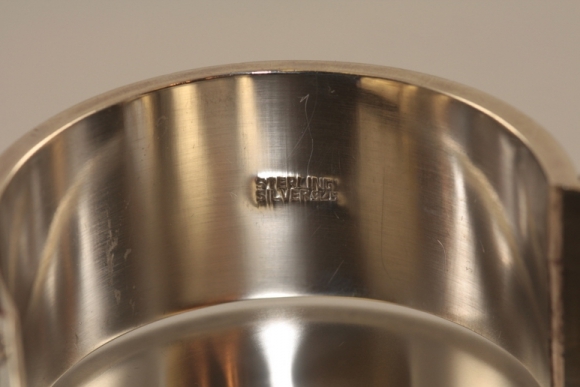 Marked Sterling Silver 925.